William Franklin Graham III is the fourth of five children of evangelist Billy Graham and his wife, the late Ruth Bell Graham. Raised in a log home in the Appalachian Mountains outside Asheville, North Carolina, Franklin now resides in Boone, North Carolina, with his wife Jane. They have four married children—Will, Roy, Edward, and Cissie—and 11 grandchildren. In his autobiography, Rebel with a Cause, Franklin explained that “just being the son of Billy Graham won’t get me into heaven.” At age 22, after a period of rebellion, Franklin committed his life to Jesus Christ while alone in a hotel room in Jerusalem. Franklin has served as president and CEO of Samaritan’s Purse for more than three decades. In this role, he has led the international relief and evangelism organization to provide physical aid in Jesus’ Name to suffering people in more than 100 countries. He holds evangelistic Crusades every year both in the U.S. and around the world. As a speaker and author, Franklin regularly addresses current moral and social issues, calling Christians to stand for Biblical values and challenging them to make a difference in the world for the sake of the Gospel. He offers Biblical context and application to national and world events. Through Samaritan’s Purse and the Billy Graham Evangelistic Association he has been instrumental in helping people impacted by crises including terrorist attacks, civil war, natural disasters and epidemics such as the Ebola crisis of 2014. Franklin has worked in Alaska for more than three decades. The Grahams have a cabin in Port Alsworth near Samaritan Lodge Alaska. As the father of an Army Officer who was wounded in active duty, Franklin is dedicated to addressing the challenges facing military couples and to seeing them experience the healing power of the Gospel of Jesus Christ in their lives and marriages. James Barrett trained as an engineering apprentice with Rolls-Royce, gaining graduate and post graduate qualifications at Bristol University and Imperial College of London University as well as Goettingen and Berlin Universities in Germany. James has been in aviation all his life for 24 years at Rolls-Royce and 23 years as the Deputy Chairman and head of the UK GE Aircraft Engine business. Pioneering work was done at both, including putting Concorde into service at RR and launching the world’s still largest jet engine at GE. James has been at the forefront of global aviation leadership, but this has always been accompanied by a passionate support of mission outreach in some of the remotest and most deprived regions of the world. James, and his treasured wife Marion of 45 years, live in central London. They have 4 grandchildren. He is currently Chairman of the board. Roger Chilvers is an evangelist and Church Leader working with Counties, a national evangelistic association in the UK and is the Director of the Church Planting Initiative. Since 1983 he has also worked with many of the BGEA Missions in the UK and in many other parts of the world where he was responsible for the Training, Counselling and Follow-up. These include Moscow, Mission World from Essen, Mission 89 in London, Sheffield, Mission England, Jamaica etc. he also has spoken at several BGEA Schools of Evangelism including Amsterdam 2000. Roger also served on the National Committee for Evangelism of Churches Together in England. He chairs the English Evangelists’ Institute and also serves as a Director of the George Muller Foundation. Roger is leader of Hillview Evangelical Church in Gloucester, England which has recently planted a new church on a large new housing area of the city. Roger and his wife Hazel have three grown children. 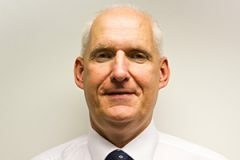 Andrew Lawrence trained as a Chartered Accountant with Coopers & Lybrand in South Wales before moving into corporate finance and management consultancy, including a number of years in Kenya with Price Waterhouse. After senior management positions in the food manufacturing and water industries he took a deliberate decision to move into the charity sector. 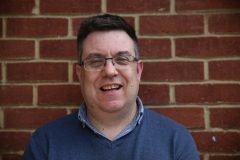 Andrew was Finance and Operations Director at the Evangelical Alliance, where he supported Joel Edwards, before taking up roles in the international development sector. He was Finance Director at WaterAid and then spent five years as Finance and Business Services Director at BBC Media Action, the BBC’s international development charity, where he turned around the finances of the organisation to create sustainable surpluses. Andrew returned to South Wales in 2013 and he is now Chairman of the Board of Bron Afon Community Housing, a dynamic social enterprise focused on improving the quality of life and the life chance of the people of Torfaen. He lives in Penarth, near Cardiff, with his wife Lesley, an evangelist, and their three children where they are members of Tabernacle Baptist Church. Mark Thomas is the managing director of MDN Fusion, a HR company specializing in leadership and personal development. Mark has previously worked with Samaritan’s Purse over a 4 year period advising on organizational development and people management issues . He is married to Julie and lives in Basingstoke. Mark’s company, MDN Fusion, (www.mdnfusion.com) provides organisational and leadership development as well as people management services for third world and UK Christian charities as well as commercial organizations and secular charities. It is also committed to helping CHILD’s Trust, a charity dedicated to the development of underprivileged children. John Gallagher is a Barrister with Hardwicke Building. He has a broad practice with experience in personal injury, professional indemnity and malpractice, clinical negligence, general contract and insurance claims, and disciplinary tribunal inquiries. He became Chancellor of the Diocese of Rochester in 2005. Norman Lynas is the Chairman of Lynas Food Service Ltd which is a family owned food distribution company in Ireland. He enjoys his sense of call to business and ministry in the work situation and loves to encourage and mentor young entrepreneurs to live out their faith in the business world and develop their ideas and provide employment. Norman is part of the leadership team in Portstewart Baptist Church where he and his wife Lynda worship. His deep passion, as is Lynda’s, has been to develop a discipleship ministry called Exodus, serving churches in Ireland, where the teams encourage and challenge 15-25 year olds to boldly follow Jesus and become lifelong disciple makers. Over the past 20 years thousands of young people have embarked on this journey and have served on teams locally and internationally. Norman was asked in 2007 to chair the ‘Celebration of Hope with Franklin Graham’ in Belfast, where many came to Christ, after which he was asked to join the UK Board of BGEA. Norman and Lynda have 3 sons and 6 grandchildren. Paul Saber has a enjoyed a successful career in the restaurant industry. He was an owner/operator of McDonald’s restaurants from 1985-2001, owning 14 McDonald’s in New Mexico, and Senior Vice President, USA Corporate Division of McDonald’s from 2001- 2003. Paul served on the Board of Ronald McDonald House and Ronald McDonald Children’s Charities, as well as Serving as Chairman of the National Leadership Council of all McDonald’s operators. In 2003 Paul became President & CEO of Manna Development Group. Franklin Graham announced the appointment of Paul Saber as Chief Operating Officer (COO) of the Billy Graham Evangelistic Association on February 1, 2007. Paul has been involved with the BGEA and with Samaritan’s Purse for nearly twelve years. He joined the board of US Samaritan’s Purse Board in 2003 and serving on the executive committee of the San Diego Billy Graham Crusade in 2003. He also joined the US BGEA Board of Directors in 2006 and the UK Samaritan’s Purse Board in 2008. Paul and his wife Dianne have two children – Graham, 20, and Hannah, 17. Lee Searle joined BGEA UK in April 2017. As an experienced Mission Leader he has led Evangelistic missions across Europe and the UK over the last 20 years. Prior to joining BGEA he was employed as the National Ministry Leader for Scripture Union, leading their portfolio of missions and residential holidays. As a qualified Payroll & HR Professional, Lee has also worked with not for profit organisations across the world, providing strategic HR direction. Lee is a prominent Christian voice on both BBC and Christian Radio and is married with 2 children. Simon Herbert joined the Billy Graham Evangelistic Association and Samaritan’s Purse in July 2016 after more than decade with a large UK multi-national. 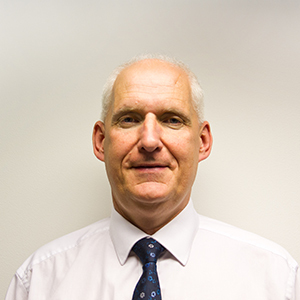 Simon is a Chartered Accountant and is responsible for the operational Financial Management of the organisation as well as longer term strategy. Simon has previously served with another Christian NGO, spending six years in Mozambique and five years in the USA.